AMGA certified SPI instructor, Mountain Rescue trained, Alpine and Mountaineering trained in the Himalayas. Born and raised in one of the biggest cities in the world, Sao Paulo Brazil. Angel left Brazil in 2005 to discover the world and she ended up discovering herself. She has climbed around the world and has traveled through more than 60 countries, but found Cayman Brac the perfect to place to live and enjoy her life style. She has done a lot of high altitude mountaineering including the Himalayas, Andes and Alaska. She has climbed the highest mountain in North America; Mt. Mc Kinley, Denali 6192m; with a female partner. They were the only all-female team for the whole season. Angel got tired of carrying heavy loads up glaciers and decided to dedicate her time in warm rock lands. Since 2013, she has promoted and helped develop rock climbing in the Cayman Islands. She helped build a non-profit boulder gym in Grand Cayman where the climbing community in Cayman started to grow. She has introduced many of her friends to rock climbing and she hopes that one day Cayman Brac will be recognized as the truly amazing climbing destination that it is. Climbing is for everyone. It’s a great sport to open your mind and help you to deal with challenges of life. David grew up in Grand Cayman with a love of the outdoors. He first started climbing at the Pedro Castle bluff, deep water soloing with no rock shoes and no chalk over the deep sea below. Being drawn into this addictive sport, he helped build a non-profit climbing gym in Grand Cayman. Since then he has climbed in Thailand, Cuba, Morocco, Greece, Spain, Scotland, and the USA, and has become a certified AMGA single pitch instructor. Throughout his post-university life, the Brac has been an important outlet of adventure for David: surfing, climbing, hiking, exploration; after his discovery of the world-class rock climbing that the Brac also has to offer, he is love-struck. 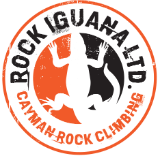 David’s primary goal with Rock Iguana Ltd is to shine a light on Cayman Brac as an international sport climbing destination and develop the tourism product of this uniquely beautiful little patch of rock. William has lived most of his life in Grand Cayman where he first learned to climb on the cliffs of Pedro Castle Bluff (deep water soloing). 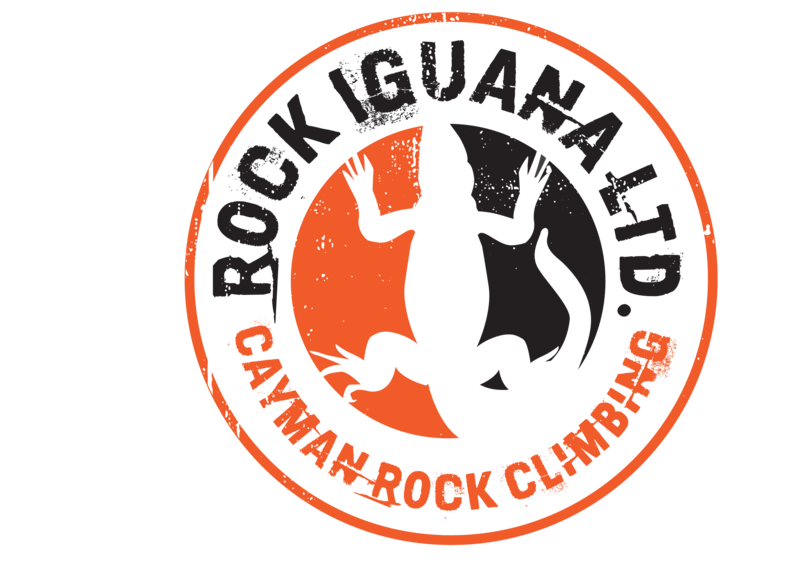 Not long after, he was involved in building the non-profit bouldering gym in Grand Cayman and he learned how to lead climb outdoors in Cayman Brac. Since then, he has taken climbing trips to Cuba, France, Ecuador, and the United States, but the Brac is where he spends most of the time climbing. The Brac has always been the ideal getaway and he has been visiting there frequently for the last 15 years due it its perfect mix of adventure and relaxation. Along with rock climbing, he often enjoys caving, surfing, diving and hiking. William is a certified AMGA Single Pitch Instructor. Mandy first learned how to climb at the University of Pittsburgh over ten years ago. Climbing instantly sparked her interest and changed her career path. To her, climbing is both a form of moving meditation and also a way to challenge herself physically and mentally. Perhaps even more than climbing for own pursuits, Mandy loves to introduce people to the sport that has impacted her life so positively. While the North Cascades of Washington State will always hold a special place in her heart, she is eager to explore the stunning seaside cliffs of the Brac. Aside from climbing, Mandy pursues mountaineering, backpacking, paddle boarding, and yoga. She is a certified yoga teacher and an AMGA Single Pitch Instructor.